We’d love your help. Let us know what’s wrong with this preview of Immer noch ich. Mein zweites Leben. 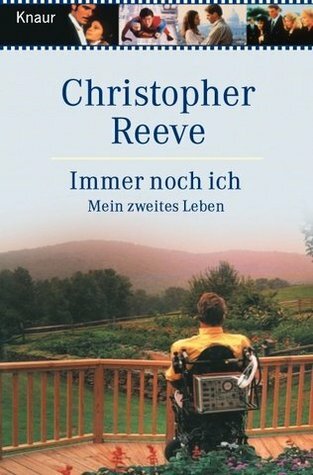 by Christopher Reeve. Immer noch ich. Mein zweites Leben. Published June 1st 2001 by Droemersche Verlagsanstalt Th. Knaur Nachf., GmbH & Co.
To ask other readers questions about Immer noch ich. Mein zweites Leben., please sign up. Be the first to ask a question about Immer noch ich. Mein zweites Leben.